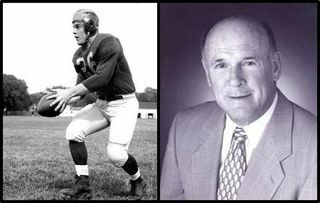 [Posted September 1, 2011] The Alumni Association mourns the passing of Jimmy Maddock '57. Maddock was a three-year starting quarterback for the Wolverines. He played 27 games at quarterback for Michigan from 1954-56, winning 20 of them. Maddock's career moment probably was his last in a Michigan uniform. He led the Wolverines to a 19-0 win over Ohio State, throwing for 66 yards, catching a 23-yard pass and scoring Michigan's final touchdown. Maddock was also a loyal member of Michigan Alpha. 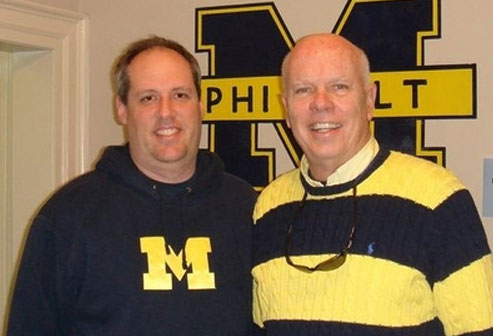 He served as treasurer during his active membership, and remained supportive of the fraternity as an alumnus by making donations to the Annual Fund and attending reunions of his 1950s era brothers. Maddock started and ran a successful construction supply business, Maddock Industries (https://www.maddockindustries.com), in Chicago for more than 40 years. Maddock is survived by his wife of 50 years and seven children plus many grandchildren. He was age 76, and lived in Westchester, Illinois at his passing on July 20, 2011.